After losing yesterday’s jump-off of Daniel Deusser, McLain Ward and HH Carlos Z took their revenge today. Yesterday, McLain immediately knew he would not win it after the finishline. He would not let that happen for another time. Today, the world number one had the last starting position in the second round and made the best out of it. Nicola Philippaerts and H&M Harley vd Bisschop were still in the lead when McLain entered the ring. Although the riders went faster and faster every time again, Nicola was in the lead with a gap of two seconds. Would it be possible to go even faster than this Belgian star? 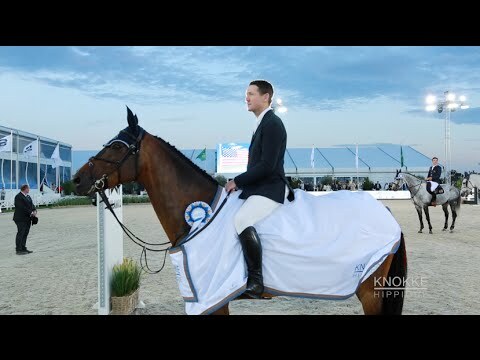 McLain Ward gave the answer by beating Nicola’s time with 1.5 seconds! McLain Ward lives up to his reputation as world number one and rode the most perfect round aboard HH Carlos Z. Lorenzo de Luca and Limestone Grey finished third.